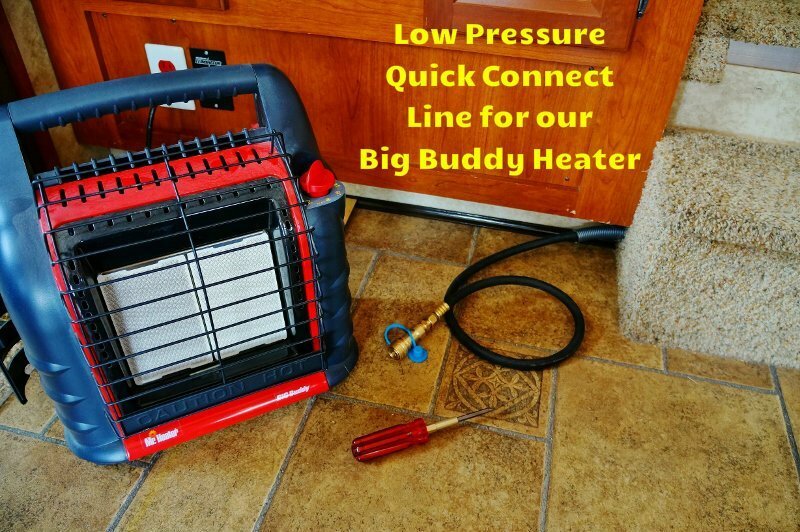 Our Mr. Heater Big Buddy propane heater has been an awesome addition to the rig. 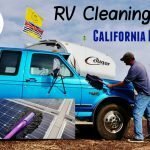 We use it a ton, especially when camping off the grid without electrical. 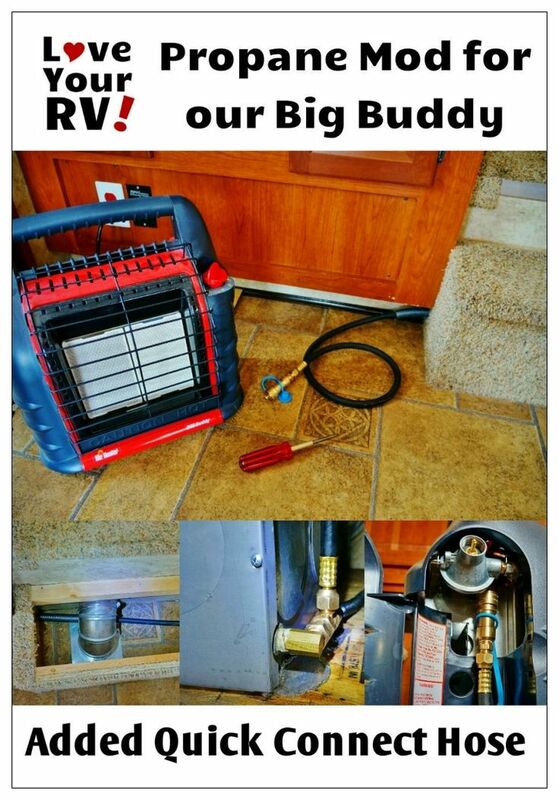 The Big Buddy heater uses no electricity and is much more efficient at heating the rig than the regular RV furnace. I hook up the Big Buddy using a 15-foot hose to an outside tank. See my previous blog post for details. This has worked well but is a little cumbersome to setup. 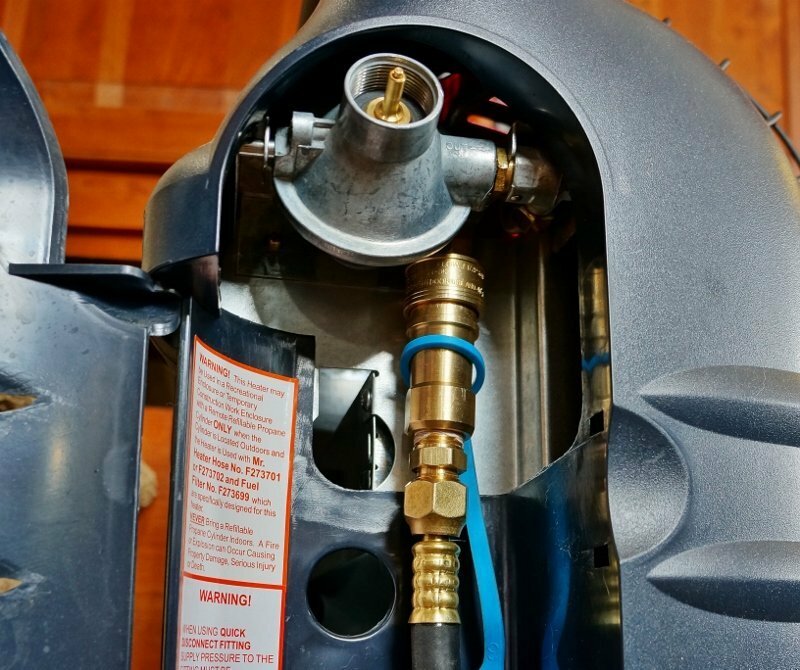 Since the Big Buddy heater also comes with a low pressure quick connect input I’ve wanted to plumb a hose right into the RVs LP gas system and use that instead. 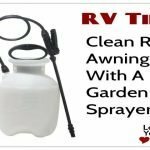 This way all I would need to do is position the portable Big Buddy on the floor and hook up the hose. Easy Peasy! As luck would have it this year we are traveling through New Mexico. 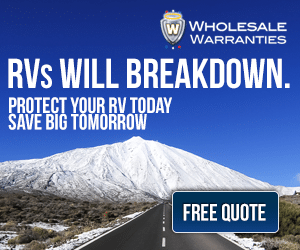 There is an RV park just west of Albuquerque called Enchanted Trails and onsite is a little propane sales and service business called R&L Enterprises. I knew from previous dealings (he modified my BBQ for me) that the friendly owner Randy “The Propane Man” would have all the bits and pieces I would need. 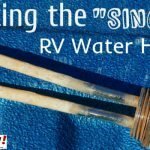 Furthermore, he would be able to offer me some advice on the best way to tie into my RVs low-pressure LP gas system. Disclaimer: Working with LP Gas is very dangerous and should be performed by a qualified technician. 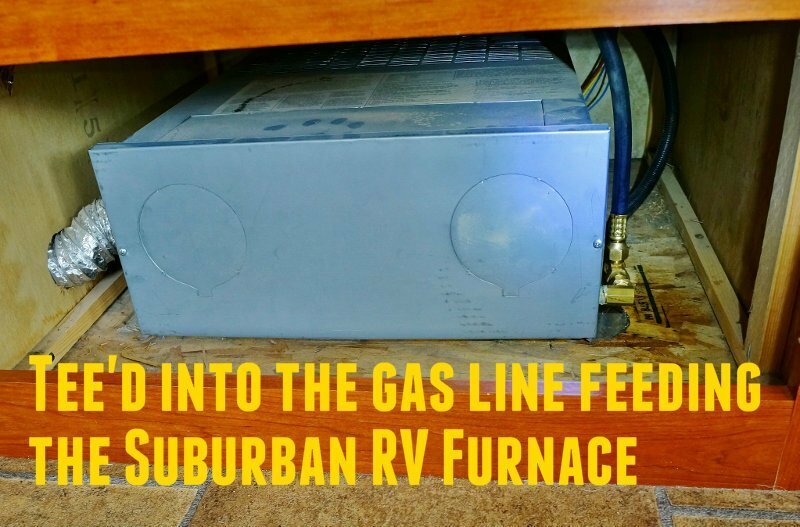 Make sure the gas is off and purged from the lines. This article is for educational purposes only and should not be taken as instructional. I’m not a qualified LP Gas Technician. 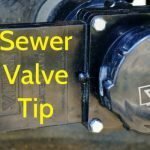 If you decide to do the same mod I’ve done here then research and beware of the risks. Have it checked out by a professional. I accept no liability, you have been warned! 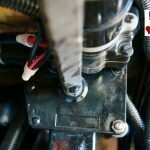 I removed some access panels in my Keystone Cougar fifth wheel exposing the water heater and furnace. Here there were many LP gas lines to choose from. Looking at the Suburban furnace I noticed a perfect spot to insert a tee connection to split off the line to use for the Big Buddy heater. 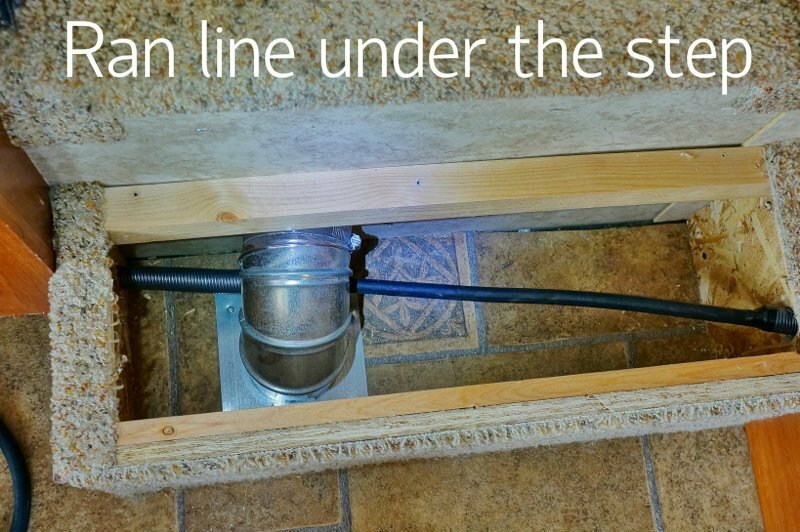 I decided the simplest thing would be a tee connection then a thick rubber LP gas grade hose threaded through the water heater compartment then under the stairs and out to where we use the Big Buddy heater. I explained my plan to Randy and he advised me on the parts needed to do the job and how they all would go together. No cutting into any lines was needed. I just had to undo the nut holding a flared gas connection in place on the furnace and insert a swivel nut connector, the tee connector, 10-foot hose and tighten everything back up with a wrench. On the other end of the hose, I needed to attach an adapter piece and a Mr. Heater Quick Connect. 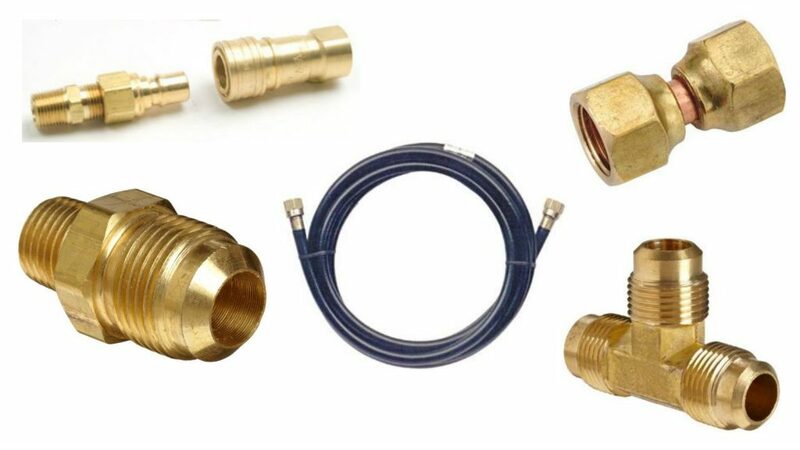 3/8th Male Flare Half Union Connector – LP Gas pipe tape needed on the non-flare end. The install went fairly smooth with my only issue getting the nut loosened on the furnace LP Gas connection. It was really tight and I couldn’t budge it. I feared breaking the connector. I decided to heat up the brass nut with my solder gun for a while. Once it was hot I was able to get it off. Because most of the connectors were flare type with copper insets all I needed to do was tighten them up. 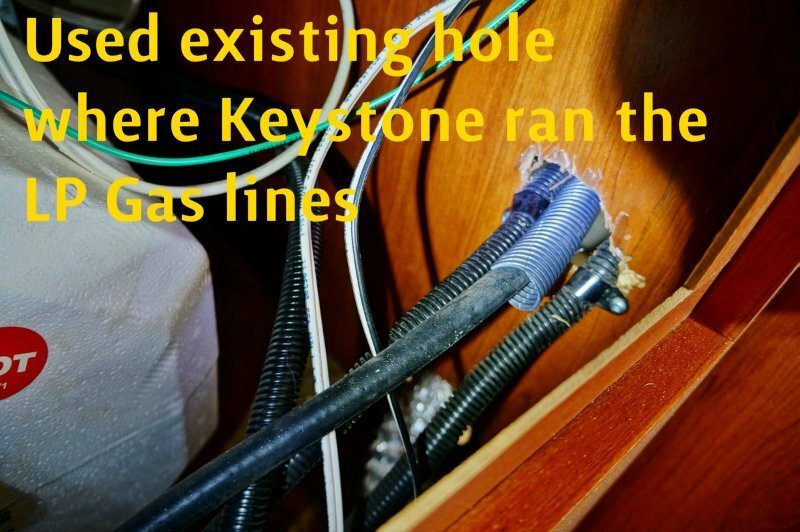 The only connector that required special attention was the 3/8th Male Flare Half Union connector which needed some yellow gas pipe tape on the threads for a good seal. 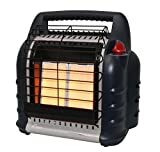 I was going to add a shut-off valve on the end but Randy told me the Mr. Heater Quick Connects built in one should do the job fine. I decided to keep things as simple as possible and the cost low. The final step before firing up the Big Buddy was a leak check with some special spray solution. Total cost for all the parts came in at approximately $100 dollars. Not too bad for high-quality stuff and I’m sure the savings in propane over using the big inefficient RV furnace will pay that back down the road. I wanted to make this mod as safe as possible which is one reason I waited until I could seek the advice of a professional LP Gas tech. Also, I wanted to use the proper parts for the job. Once I had the job completed and turned on the rigs propane I sprayed each connection with a leak check solution. There were no bubbles seen, no evidence of a rotten egg smell and the nearby LP Gas detector stayed green. Looks like I was good to go. Once the air was purged from the hose the Mr. Heater Big Buddy fired right up. Yay! 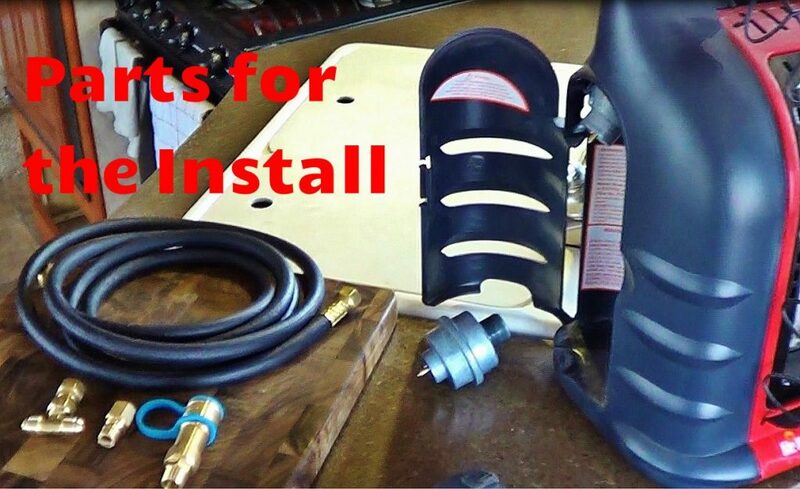 I will closely monitor the install in the coming weeks to make sure there are no leaks. Given that the gas pressure is so low I’m pretty confident I won’t have a problem though. 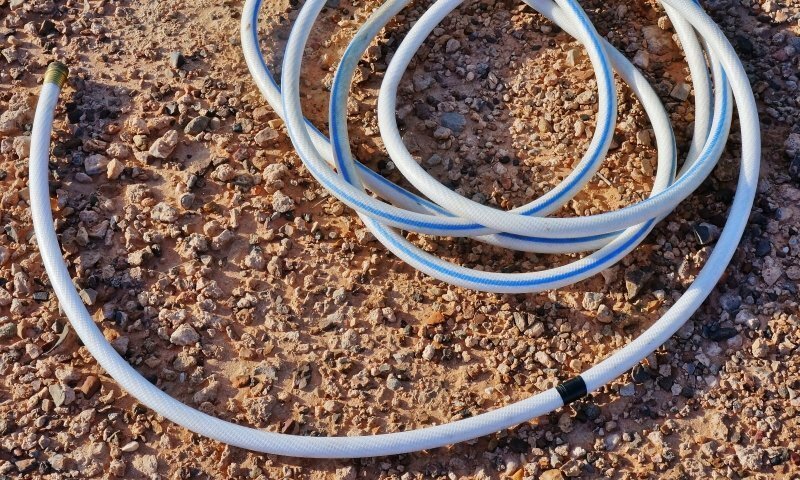 I was a little concerned about using a rubber hose instead of copper tubing but looks like many of manufactures are now using rubber LP gas hoses in the kitchen slide-outs. Randy showed me a cross section of the hose and it has very thick walls. I love this mod already. It is so much more convenient than hauling out the big 30 lb. cylinder and screwing in both ends of the hose each time. 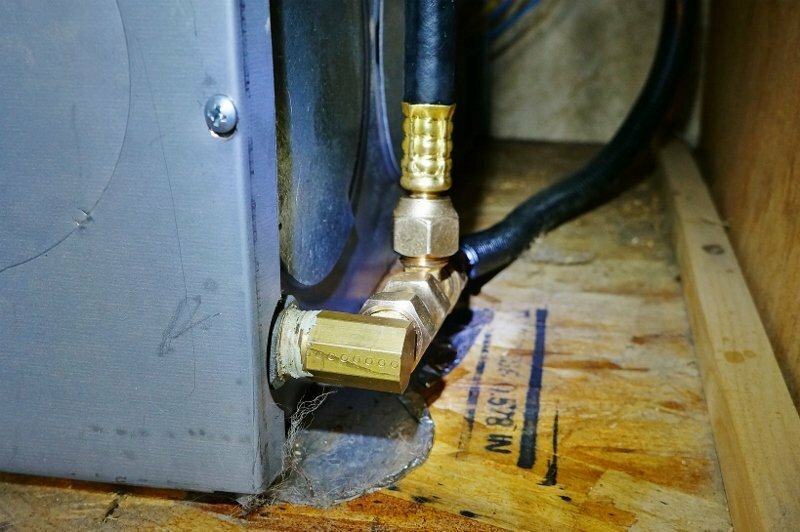 It is safer to use the low-pressure side of the LP gas system which is only about ½ PSI. 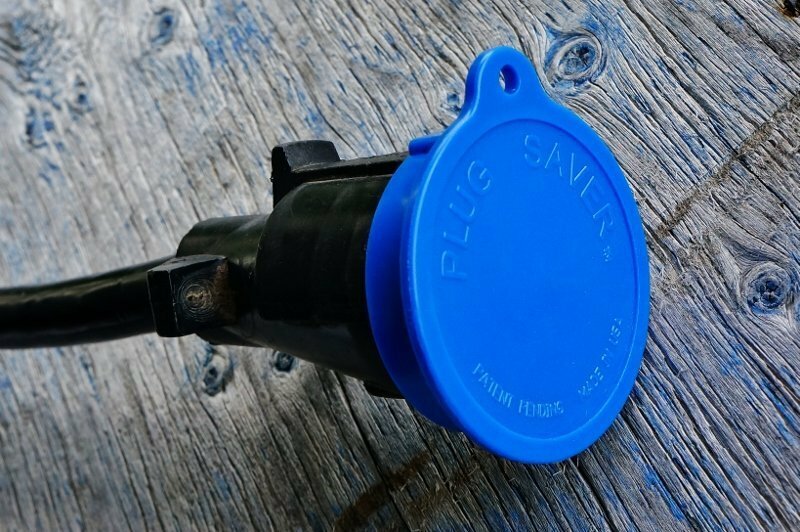 Also, I no longer need to use the fuel filter in line. 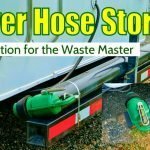 I will hang on to my old hose and connectors and use them when we want to use the Big Buddy heater outside to take the chill off while enjoying the evenings.